steelerfury.com • View topic - Merry Christmas, Asshats! Post subject: Merry Christmas, Asshats! Seasons Greetings to all of yinz Steeler bretheren--- Let's hope we've all been good enough this year to deserve several new brains for our coaching staff, and another Lombardy for the trophy case at Heinz! Meanwhile until kickoff today, here's the incomparable Ray Davies giving his holiday greetings in a video that looks like it was produced for about $10 on Super-8 film! But it's my favorite rock & roll Christmas song ever, and as always, Dave Davies + Les Paul + HiWatt = Dyn-o-mite! Post subject: Re: Merry Christmas, Asshats! Same to you and to all of you. I'll be nursing this hangover until the game. Hopefully I won't have to start drinking again and this game is a blowout. Merry Christmas all yinz jagoffs! I wish it was mine- alas it's not. You know the owner, or just a pic you found? Merry Christmas to everyone at Steelerfury! Merry Christmas to everyone. Hope you all have a wonderful Christmas season with lots of good health and cheer. Merry Christmas to all Yinz Jagoffs! 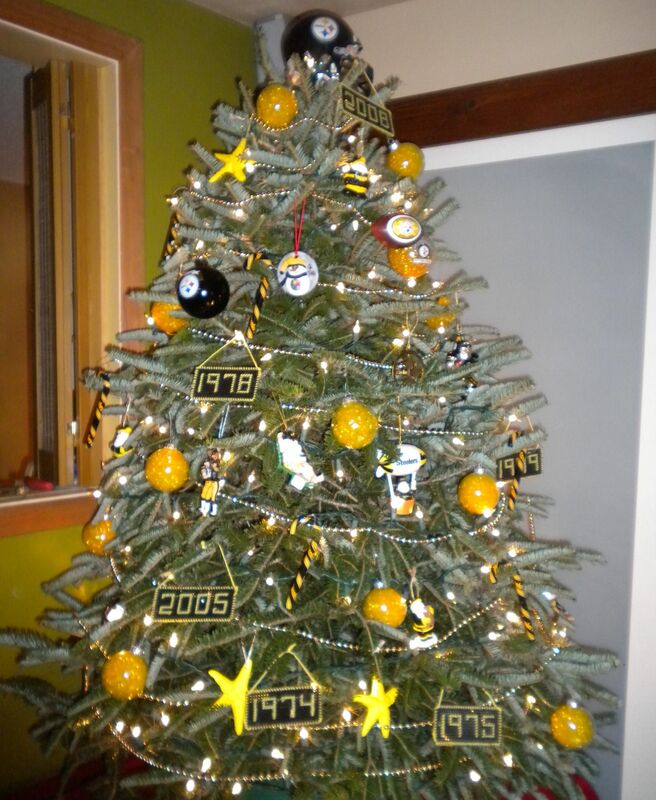 A very Merry Christmas SteelerFury discussion forum fanatics. Merry Christmas to everyone at SteelerFury!!! Merry Christmas to my fellow SteeleryFurians! Merry Christmas everyone. Hope you all have a great one. Merry Christmas to all here. Best wishes to everyone & especially FC who is predicting a Steeler SB win. I remember the time in 2005 when he said that it's just 4 games & 4 games later we had the Lombardi. Christmas is the only holiday I know that converts older folks into kids again.